If you want to get fit but don't want to commit the cash, there are plenty of ways to avoid those long-term gym memberships. It's easy to become obsessed with value for money. But while that's a good approach to take when planning your finances, it can encourage you to waste money in pursuit of that elusive ‘free' product or service. A study on food waste by the Institution of Mechanical Engineers found that 70% of respondents bought more food than they needed because of half price and other special offers. This kind of statistic is more commonly seen in the world of groceries, but it's equally true of subscription services. Think realistically when signing up to a gym. Good intentions are all well and good, but will the money saved by entering into a long contract really represent value over a one-year (or even 24-month) period? It could work out cheaper to pay-per-visit. The money saved during holidays and lazy spells may dwarf any ‘savings' offered by a long subscription. Remember to do the maths before signing up, and always check the small print. There should be a 30-day cancellation clause (usually with a small penalty), and some gyms offer a ‘cooling off period' in case you change your mind. Check whether the contract auto-renews, too - you don't want to be lumbered with a contract for life. To keep track of how much your visits are costing, sign up for our free Money Dashboard budgeting software. Our intelligent system automatically tags all of your spends, giving you a clear view of where your money is really going. If conventional training is just too boring for you, there's still a way to get fit and save money. App developers are increasingly teaming up with fitness fanatics to combine workouts with stories and missions. Apps like ‘Zombies, Run! ', which can be downloaded to Android and iOS smart phones, are available now, but these games are becoming increasingly fine-tuned to give full workout routines, as well as an injection of excitement to your day. If you have a garage, a big lounge, or even space in the garden, you can start creating your very own exercise space. Once the space is designated, be creative. 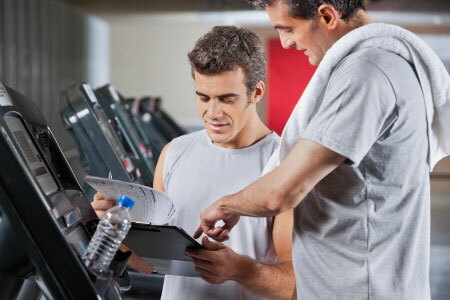 Consider a virtual fitness trainer to advise on exercises that don't require much equipment. Once you've established your routine, start saving for more advanced gym equipment - start small with a medical ball, and gradually build your repertoire to include free weights, small benches and even a multi-gym.